1. Angler’s Reef–Maunalua Bay, Oahu: Angler Fish Reef is a ridge made of lava rock and coral that runs parallel to the shore. Common marine life includes numerous sea urchins, frog fish, sponge crabs, reef sharks, spotted eagle rays and eels. 2. Koko Craters–Maunalua Bay, Oahu: The site includes a group of circular craters that lie in about 30 to 35 feet of water. The craters were formed when Koko Head erupted nearly 10,000 years ago. It has been nicknamed turtle heaven due to the abundance of green sea turtles. In addition to turtles, commonly seen marine life includes eels, striped belly puffer, octopus, snapper, scorpionfish, Potter’s anglefish and schools of other reef fish. 3. Electric Beach–Oahu: Kahe Point Beach Park got its nickname ‘Electric Beach’ from the HECO electric plant located across the road, so it should be easy to find. The site includes a mostly sand bottom, large coral heads close to shore; and large rocks, caves and coral reefs further out you go. Be careful of the blue underwater outflow pipes from the electric plant where hot water is shot out at high rate. The water is clean and the warmth attracts various sea life. You can see the change in the surface water above the pipes so look for it before you enter the water. Common sea life includes the spinner dolphin, needle fish, trigger fish, snapper and the green sea turtle. 4. Magic Island–Ala Moana Beach Park, Oahu: Magic Island, which is actually not an island, is a small man-made peninsula connected to Ala Moana Beach Park and next to the Ala Wai Yacht Harbor. At the end of Magic Island is a nice beach protected by a sea wall. This is a safe place for snorkeling because you won’t have to worry about boats or large waves. Its also a great place to start your scuba practice sessions. Diving is an option outside of the sea wall, but waters can be murky and there is a lot of boat traffic. Common marine life includes porcupine fish, manta rays, green sea turtles, spotted puffer fish, morays, moorish idols, triggerfish, and fantail filefish. The waters near Magic Island are ideal for beginning scuba divers because the waters are shallow and usually calm. 5. Airport Beach–Maui: Located along the northern shores of Kaanapali Beach, this dive site is perfect for beginners thanks to its easy entry. While depths reach 40 feet, the best diving lies between 20-30 feet. Along the coral you’ll find dozens of fish species, including lemon butterflies, Moorish idols, lionfish, yellowtail coris and needlefish. 6. Molokini Crater–Maui: Without question, Molokini Crater is the premier snorkeling spot for tourists (up to 2000 snorkelers visit per day). But its real treasures lie deeper. A quick 30 minute boat ride from Maui, divers descend to 60-70 feet, where white tip sharks, manta rays up to 15 feet wide and Garden eels glide effortlessly along. If you’re interested in diving Molokini Crater, book your Maui Scuba Diving excursion package through Hawaii Aloha Travel, and enjoy the best guides plus amazing discounts. The underwater world beneath the Hawaii waves is an extraordinary site. Even if you're a beginning scuba diver, there are many sites you can visit, so you can explore this underwater wonderland, like these fish off Molokini Crater. 7. Pawai Bay Marine Reserve–Big Island: Clear waters, abundant reef life, and interesting coral formations make protected Pawai Bay Marine Preserve ideal for diving. Explore sea caves, arches, and lava rock formations and dive into lava tubes. Located a half-mile north of Old Airport is an easy dive spot by boat only. 8. Puako–Big Island: Just south of Hapuna Beach State Recreation Area, beautiful Puako offers easy entry to some fine reef diving. Deep chasms, sea caves, and rock arches abound with varied marine life. 9. Koloa Landing–Kauai: Koloa Landing on the south shore of Kauai at Hanakaape Bay is also a great diving spot. The water entry is easy and it is an ideal dive spot for beginners. The waters reach a depth of about 30ft and its generally calm all year round. the remarkable feature about this spot is its horseshoe shaped reef which makes it easy to dive experience. On one side of the horse shoe reef you would find lava tubes and on the other side of the reef you would get to explore tropical fishes and sea turtles. The best sights though are located towards the west side of the reef. 10. 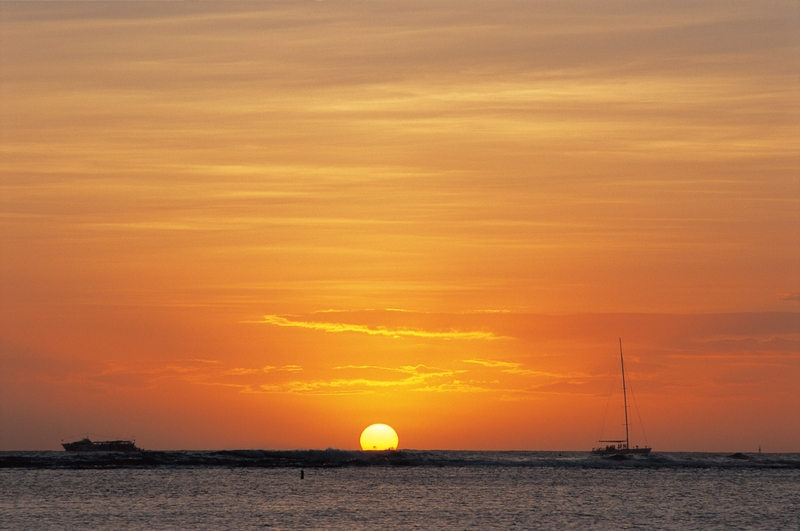 Kahala Barge–Kauai: Kahala Barge on the east shore at Anahola Beach is another great off shore scuba diving sight. 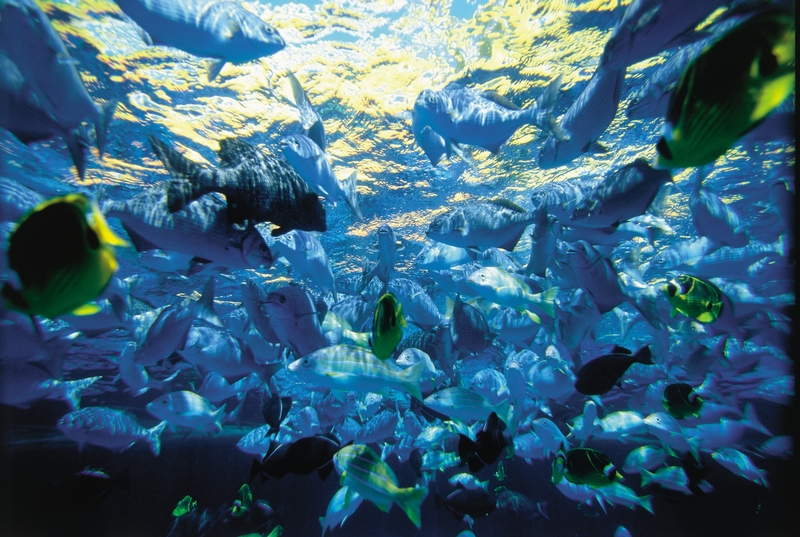 At Kahala Barge you will find a large well protected reef with tons of fish. the waters here are kept clean by the currents which also makes it a great photography spot underwaters. You may not be an advanced diver—yet, but these 10 dive spots will help you train for the big leagues if and when you’re ready!